Create a variety of artistic projects with the craft supplies collection of Marlene Trimmings. We are an online store headquartered in Guttenberg, NJ offering an extensive selection of products that exceed expectations. Be they fabric or bridal trims, we have them for you! Read on to learn more about the craft supplies we offer. We are preparing something exciting for you! We are still in the process of compiling information for this section. Please revisit this page soon for more updates about our craft supplies collection. In the meantime, feel free to check out the other pages of our website to learn more about our shop. Do you have any questions about our online craft shop? 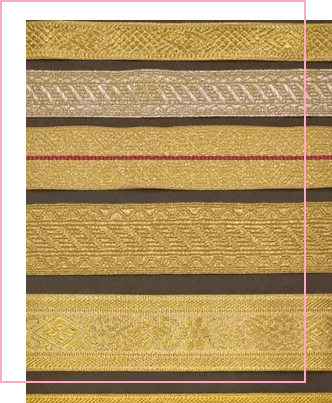 Perhaps you would like to learn more about the products included in our craft supplies collection, such as bridal trims. You can make inquiries and get in touch with us through this website. We look forward to working with you!